A commoner from Corsica who counted a famous French actor among her lovers, bathed in milk baths to which she was carried by a servant, and married a wealthy Italian prince could be said to have led a rather fortunate life. Pauline Bonaparte’s journey from rags to riches would not have been possible without her older brother Napoleon. Known for her beauty, impulsiveness and frivolity, Pauline loved Napoleon and was the least demanding of his siblings. Pauline Bonaparte was born in Ajaccio, Corsica on October 20, 1780. The sixth child in the Bonaparte family, she was 11 years younger than Napoleon (see Napoleon’s family tree). Napoleon later said that he and Pauline had been the spoiled children of the family. Responsibility was not Pauline’s strong suit. She received no formal education and had zero intellectual leanings. Her interests were frivolous. She was a great flirt, and took enormous pride in her appearance, particularly her pale skin and lovely hands and feet (Napoleon, too, was proud of his delicately shaped hands). Although Pauline wanted to marry someone else, Napoleon arranged for her to wed French officer Victoire Leclerc. Whether or not this is true, Pauline and Leclerc were married on June 14, 1797. They had a son, Dermide, on April 20, 1798. Napoleon named the boy after a hero in his favourite epic, Ossian. In 1801, Napoleon appointed Leclerc Governor-General of Saint-Domingue (present-day Haiti) and sent him to put down a rebellion there. Pauline and Dermide went too. Though Pauline was not pleased about living so far from Europe, she made the best of it. She took numerous lovers and started a menagerie of native animals. But all in all, it was a miserable stay. The uprising continued. The French were struck with yellow fever. The entire family became ill, and Leclerc died on November 2, 1802. Pauline and Dermide returned to France with his remains. Madame and Dear Sister, – I have learned with pain that you have not the good sense to conform to the manners and customs of the city of Rome; that you show contempt for the inhabitants, and that your eyes are unceasingly turned towards Paris. Although occupied with vast affairs I nevertheless desire to make known my wishes, and I hope that you will conform to them. In the end Pauline attended Napoleon’s coronation, though she objected to having to hold the train of Josephine’s dress. She disliked both Josephine and Napoleon’s second wife, Marie Louise. 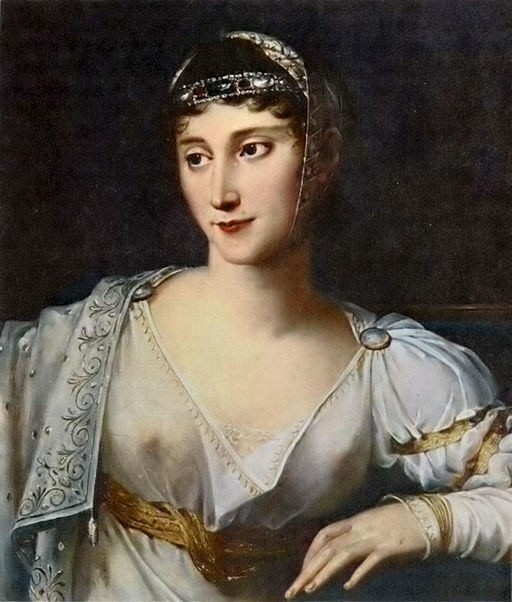 In 1806 Napoleon made Pauline Bonaparte Borghese the Princess and Duchess of Guastalla, in Italy. A wag said, “It is small, no doubt, but even a molehill is too much for the Princess Borghese to administer.” (4) Pauline soon sold the duchy to Parma for six million francs, keeping only the title of Princess. Although Pauline wanted to join Napoleon in France for his “Hundred Days” return to power in 1815, she was detained by the Austrians in Italy. After Napoleon’s defeat at the Battle of Waterloo and subsequent exile to St. Helena, Pauline moved to Rome. This is where we find her in Napoleon in America, along with her mother Letizia, her brothers Louis and Lucien, and her uncle Joseph Fesch. She had an apartment in the Palazzo Borghese. She also acquired a villa, dubbed the Villa Paolina (Paulina), which is now the French Embassy to the Holy See. She had the building and gardens extensively renovated. The Villa became renowned for Pauline’s hospitality, taste and splendour. She received many distinguished visitors and every week played hostess to a spectacular ball, concert, soiree or play. In 1820, Elizabeth Patterson Bonaparte (the American ex-wife of Napoleon’s youngest brother, Jerome) wrote to her father regarding Pauline. News had not yet reached Rome that Napoleon had died on May 5th. Pauline’s health worsened. In 1824, she prevailed upon the Pope to help her reconcile with Borghese, who had been living in Florence with a mistress. She spent her final months with her husband, dying on June 9, 1825, at the age of 44. The cause of death was given as a tumor on the stomach. Pauline Bonaparte Borghese is buried at the Basilica of Santa Maria Maggiore in Rome. Hector Fleischmann, Pauline Bonaparte and Her Lovers (London, 1914), p. 61. D.A. Bingham, A Selection from the Letters and Despatches of the First Napoleon, Vol. II (London, 1884), p. 70. Flora Fraser, Venus of Empire: The Life of Pauline Bonaparte (London, 2009), p. 121. R. F. Delderfield, The Golden Millstones: Napoleon’s Brothers and Sisters (New York, 1964), p. 108. M. De Jouy, The Hermit in Italy, Vol. 1 (London, 1825), p. 78. Fraser, Venus of Empire, pp. 24-25. Richard Metternich, ed., Memoirs of Prince Metternich, 1773-1815, Vol. 1 (New York, 1881), p. 310. The Gentleman’s Magazine and Historical Chronicle, Vol. 99 (London, 1829), p. 249. Louis Étienne Saint-Denis, Napoleon: From the Tuileries to St. Helena, translated by Frank Hunter Potter, (New York and London, 1922), p. 81. Eugène Lemoine Didier, The Life and Letters of Madame Bonaparte (New York, 1879), pp. 55-57. Fleischmann, Pauline Bonaparte and Her Lovers, pp. 247-248. Another fascinating blog. I am in awe of your extraordinary depth of research and your ability to create such a complete picture of each individual you write about, you really bring history alive, thank you! Thank you, Lally! They really are a fascinating set of characters. It’s hard to do them justice in a short article. I was introduced to the lady by Canova. That is a splendid introduction! 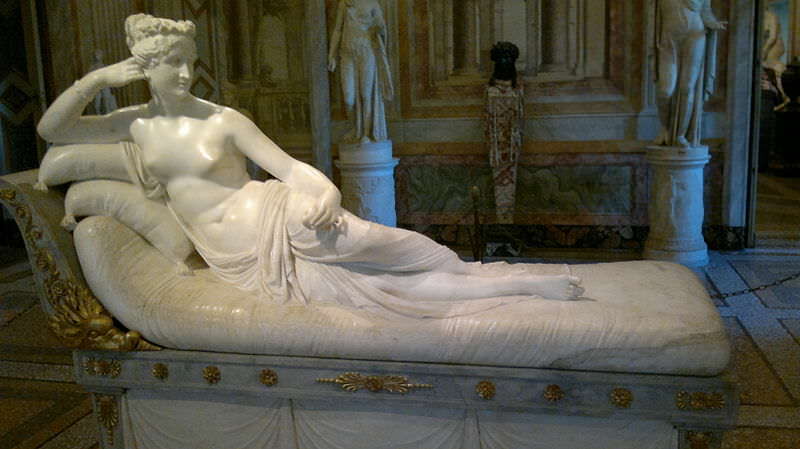 Canova’s statue of Pauline reclining is in the Borghese Gallery in Rome. I have a miniature. A plaster cast of her breast is in the Rome Museo Napoleonica. Canova actually had some comments about her that I read in Italy. Thanks, Bob. I didn’t know about the cast of her breast. I’ll have to look up those comments – I imagine Canova had some interesting things to say about Pauline. I’m so happy to have found your blog! I really like Napoleon and everything related to him. Just some days ago, I came across memoirs and many books about him, which I’m planning to read after my exams. 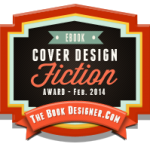 If you have some books to recommend, please do so. Thanks. I’m glad you’re enjoying the blog. 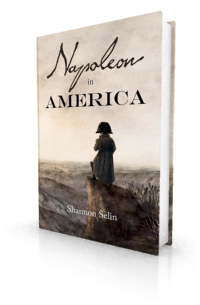 In terms of books, Napoleon by Felix Markham (1963) is a good basic biography. In the memoirs department, Betsy Balcombe’s Recollections of the Emperor Napoleon During the First Three Years of his Captivity on the Island of St. Helena is a fun read, and it’s available for free on the Internet Archive: https://archive.org/details/recollectionsofe00abeliala. Ditto for Napoleon from the Tuileries to St. Helena by Louis Étienne Saint-Denis: https://archive.org/details/napoleonfromtui00pottgoog. Had more fun, and actually remembered I had been in Paris, FR. and saw memorials of the French NB. Sort of shivered for fear that France might again come up with such a character and create a New France governing all of of the EU. My husband is from The Netherlands and would establish a military and propaganda to keep France and NB from rising to such lengths. Just a silly note. I did and always enjoy insight into French history, and first came to read of it in fairy tales and Marie Antoinette’s life in a children’s Encyclopedia. Thanks! I’m glad you liked the blog. As always, you do a really great job with your blog! As to the cast of Pauline’s breast, it is indeed in Rome. And some years ago I went to an exhibition at the Louvre and in the gift shop you could buy a silver cup in the shape of her breast–for 1000 Euros! I passed but have regretted it since. Thanks, David! “Don’t give up until you drink from the silver cup” comes to mind. Fine blog. I wrote an article on Elise last year and am currently writing one on Pauline. It is said that when Paganini left Elisa’s court, he enjoyed a one night fling with Pauline at Stupinigi castle outside Turin. Did you find any evidence or reference on that? Also, I am quite curious about Pauline possessing an art collection, and giving art and architecture commissions, apart from portraits of course. Thanks, Michel. Flora Fraser, in her biography of Pauline (Venus of Empire), writes that “according to local legend,” Paganini and Pauline enjoyed a “forest idyll” together at Stupinigi. I don’t know anything about Pauline’s art collection (apart from the Borghese family collection), or what art she may have commissioned on her own. By the way, the Villa Paolina is the French embassy to the Holy See, not to the Italian Republic. Thanks for the correction, Michel. I’ve updated the post. Interesting blog. I own a miniature painting 12×16 cm of Pauline signed by Lefèvre. My picture is the same pose but different clothes, she doesn’t show here ******. I think it’s quite old because the backside is some old Latin written paper and the frame is bone or shell. Thanks, Ole. Your painting sounds exquisite. Good to learn he had a loyal and faithful sibling. Most of the time he was disappointed or disapproving of his family. Thanks, Joseph. Yes, it’s nice that Pauline remained loyal to Napoleon even in defeat. Pauline was as handsome as it is possible to be; she was in love with herself, and her only occupation was pleasure.